I love Mexican cuisine! 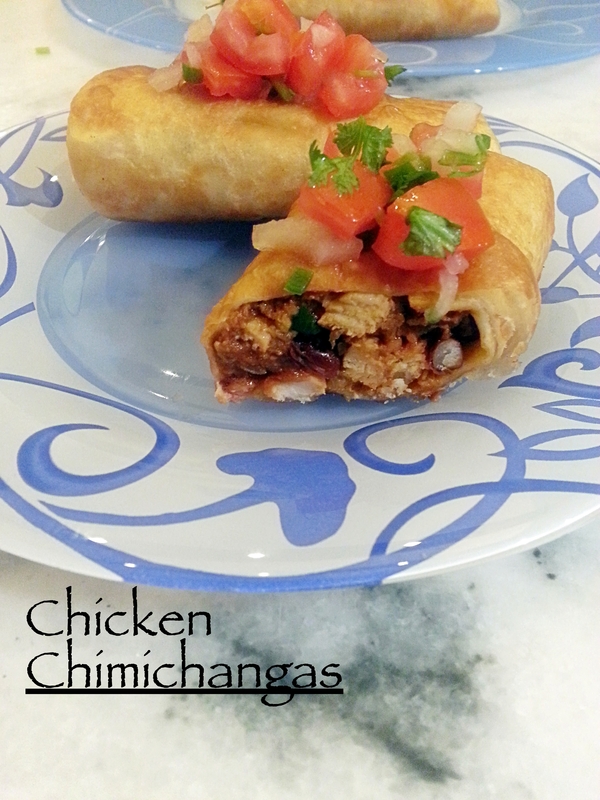 I made some perfectly fried chimichangas today and fell in love with Mexican cuisine all over again, its been ages since i had made Mexican at home but i definitely am going to make much more of it. If you want to make them a little more healthier just brush them with little butter and bake them in the oven. Heat olive oil in a non-stick saucepan over medium-high heat. Add the onions and sauté until slightly golden at the edges add the garlic and jalapeño cook until soft about three minutes. Add in the tomato sauce, water or chicken broth, chilli powder, cumin powder, coriander powder and salt toss in the chicken and stir in the sour cream. Bring just to a bubble then reduce the heat cover and let it simmer ( keep stirring you don’t want it to burn) until the sauce thickens now add the cilantro increase the heat and cook until dry. Remove from heat and set aside. Spread 2tbsp of refried beans in the centre of each tortilla, leaving a 2-inch border on both ends now add 1/2 cup chicken mixture and top with shredded cheese. Fold in the ends and roll up. Heat the vegetable oil in a frying pan on medium-high heat, once the oil is hot add the filled tortillas and fry until golden brown on both the sides. Remove and drain on paper napkins.